Years ago, before having smartphones, using flashlights was the most normal thing in the world. However, the mobiles have also taken that habit away, and where before we saw us using the classic battery-powered flashlight, hoping that it did not have the batteries discharged or misplaced, we are now using the phone's flash . Even in modern horror films they do not use them anymore, which shows us how much our customs have changed with these inventions. However, there are still people who do not know how to use this feature of their device. Or even knowing how to activate it, they do not know how to regulate the intensity of this, which can negatively affect the phone's battery . The truth is that iOS assumes that you do not need any kind of tutorial to find out how everything works, so many tricks just go unnoticed normally, and one of them will come great to those who use the flashlight. To begin with, you need to be aware that there are two ways to activate that trick. In both cases the same objective is achieved, but in a slightly different way depending on the device you have. 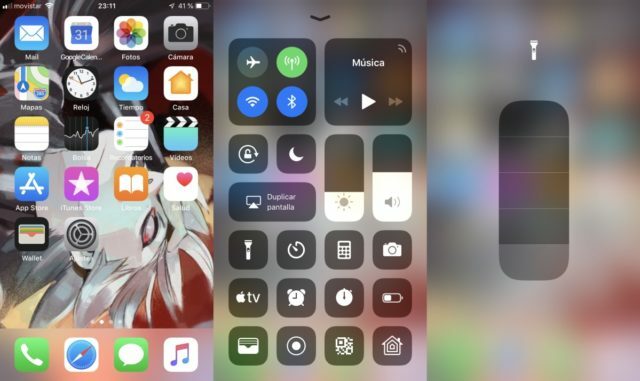 You just have to go to the control center of iOS , where you can activate the flashlight normally, or as we want, access the settings of the brightness of the flashlight. To do this, you will have to keep pressed (in the case of the iPhone XR) or press hard (iPhone X and XS). 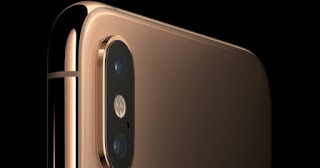 The difference between the two methods, is that in the iPhone XR there is no 3D Touch , so we can not use this technology to access the shortcuts that are normally provided with this method. However, some functions can be activated without the 3D Touch, since this action has been replaced by a long press.